With the third anniversary of Fukushima’s triple meltdown approaching, stories of incompetence and corruption in the nuclear cleanup are rife. A team of Reuters’ reporters working in Japan has researched working conditions at Fukushima Daiichi and decontamination jobs outside the plant. Their findings are shocking. Their report focuses on the testimony of three workers with different backgrounds: Hayashi Tetsuya, 41, whose case was publicized by actor and antinuclear lawmaker Yamamoto Tarô; a young man named Goshima who tangled with organized crime gangs; and an anonymous veteran worker introduced by labor activist Nakamura Mitsuo. Accompanying interviews with lawyer Minaguchi Yōsuke and the police make clear that whatever their public pronouncements, Tokyo Electric Power Co. and the government are doing little to stop illegal practices, such as the withholding of danger money by employers. Pay for some of the most dangerous jobs is not much better than the amount paid to convenience store workers. Worker morale is low and there are doubts that the cleanup is even effective. 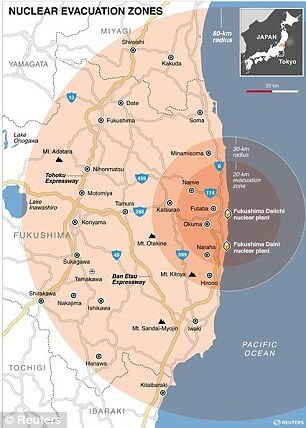 The longer the cleanup goes on, the more the Fukushima Daiichi plant and the decontamination business seem to be falling in the hands of the construction industry and the yakuza. Wresting control back will not be easy. Please see the full article, available here.